There's a lot of effort that goes into making a house a home. Which is why at Architectural Entrance Systems, we offer a range of timeless conservatories designs in PVC and aluminium. Whether you're looking for a contemporary and traditional conservatory style, or a complex, modern style with beautiful clean lines, AES can help you whatever you have in mind. 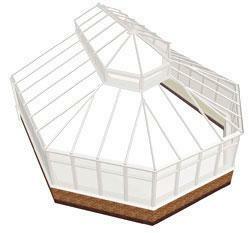 Is your conservatory too cold in the winter and hot in the summer? You need an AES conservatory! 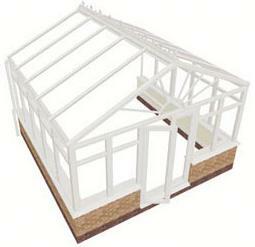 Victorian conservatories are one of the most popular styles of conservatories on the market. 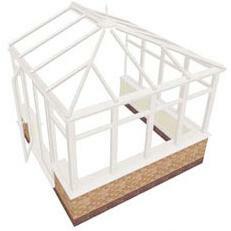 The Victorian style complements all buildings and homes. 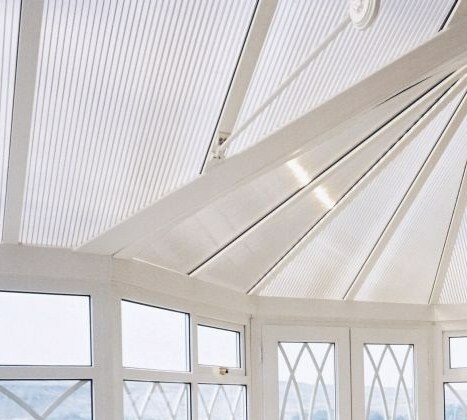 Victorian conservatories are traditionally made up of five facets and their front elevated along with ornate detailing along the ridge of an apexed roof system. 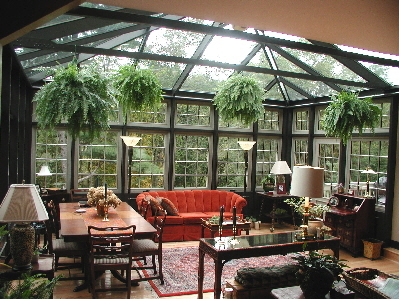 Edwardian (aka Georgian) conservatories are highly similar to the Victorian style; however, instead of a curved front, they're designed with a flat front, which usually form either a square or rectangle shape. 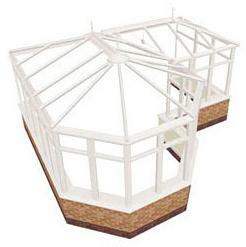 The AES T and P shaped conservatories are so-called due to their design shape mimicking the letter. They are ideal for large landscape conservatories and combine two types of conservatory design to make a unique and bespoke appearance. 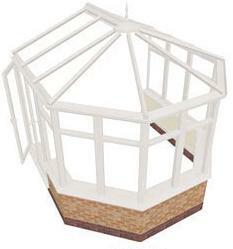 AES lantern style conservatory designs are larger in size than the Edwardian and Victorian styles. Each Lantern conservatory is characterised by having a second layer of vertical windows extending from the roof, giving an extra height, light and presence to your home and conservatory. 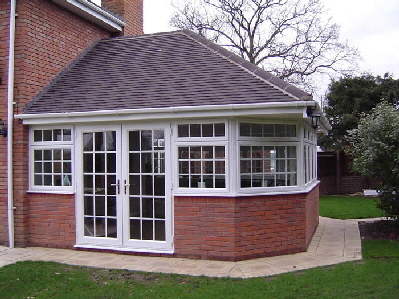 Gable style conservatories are designed to encompass as much floor space as possible to create an excellent additional area to your home for any purpose. Generally made totally of glass, they bring in a lot of light into your home with the capability of adding one of our doors to the front for immediate access to your garden. Lean-to or Mediterranean style conservatories are the perfect solution for those with a small space but still want the luxury of a conservatory. Lean-to conservatories are commonly known as sun rooms and are renowned for encapsulating maximum amounts of light and with AES insulating windows, it will feel like you're in the Mediterranean! All of the conservatories available at Architectural Entrance Systems are available in aluminium and PVC with a wide selection of RAL colours for all aluminium products. 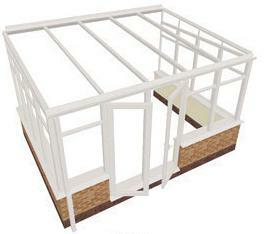 PVC conservatories are available in a number of colours and wood look finishes. We also offer a range of different roof finishes too, to add the final touch of finesse to your home and new conservatory. 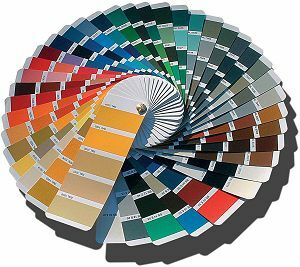 Whatever colour you have in mind for that new aluminium conservatory, there will be one on the RAL chart that will meet your needs! All of the conservatories available at Architectural Entrance Systems are built to the highest standard. A standard that is not always met by all of our competitors. 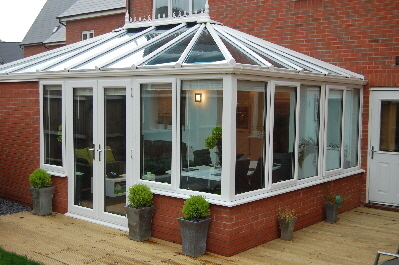 Therefore your conservatory may require a little bit of TLC. At Architectural Entrance Systems we are here to help with any problems that you may have with your conservatory, whether it is an upgrade from the poor performance you're currently getting out of your conservatory, or help with a damaged conservatory. 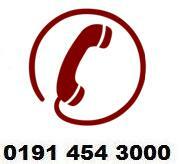 AES can provide the solution for you!